Our self catering house is ideally located in a quiet area of the Poole Harbourside, just a few minutes walk from the waterfront where there are fantastic views across the harbour to Brownsea Island. 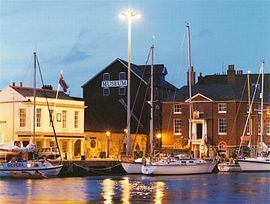 Both the Poole Quayside with its bars and restaurants, and the Poole town centre are just 10 minutes walk away. 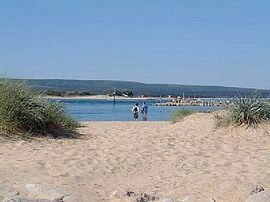 The famous Poole beaches at Sandbanks are a 10 minute drive or bus ride. The house is an ideal base for exploring the wonderful Dorset countryside including the spectacular Dorset Jurassic coast either by car or public transport. 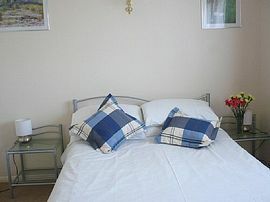 The house is modern and well furnished and has been previously rated 4 star by the Tourist Board. The house has a small private south facing paved patio area with its own private reserved parking space. There are numerous activities including boating, sailing, wind surfing, cycling, harbour boat trips, tennis, golf, bowling, skating, children's play areas, arts centre, swimming and many more. See our web site (link above) for more details. 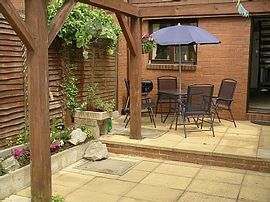 Outdoor sitting patio area with BBQ. 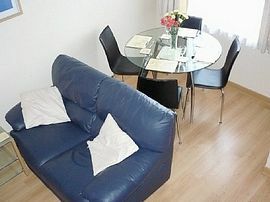 Local Services: walking distance of Shops, Poole Quayside, Poole park, swimming pool, harbour. Seasons Open: Spring, Summer, Autumn.